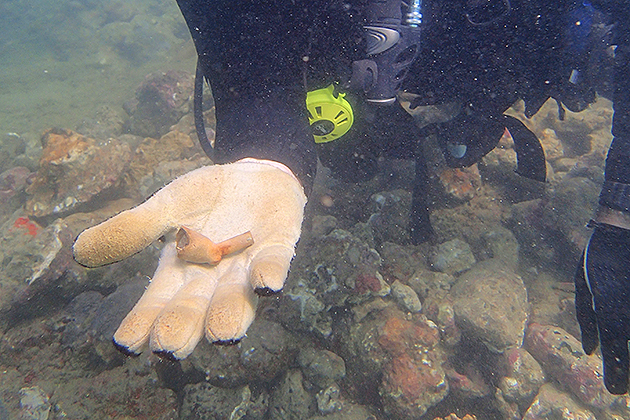 A group of marine archaeologists has discovered debris from a 17th century Dutch battleship, in the waters surrounding Tobago, a tiny island situated in the southern Caribbean, near Trinidad and Grenada. Experts believe that the wreck belongs to the Huis de Kreuningen, the largest vessel in the entire Dutch fleet which sunk during a battle between the French and the Dutch colonizers. Everybody dies, and every ship sinks. While often overlooked in the field of maritime history, the battle remains quite a significant one, with regard to the sheer number of casualties and the damage incurred by both fleets. As many as 2000 people, including women, children and even slaves, were killed during the clash. Apart from the Huis de Kreuninge, the Glorieux – flagship of the French Vice Admiral named Comte D’Estrée – was sunk, taking with it around 370 of the men aboard the vessel. Until now, however, the precise location of the sunken ship was unknown. Measuring up to 39.6 meters in length and 9.62 meters in breadth, the Huis de Kreuninge was the pride and glory of the Dutch navy. But in comparison to its French counterpart, it was merely three-fourth of the size of the Glorieux. 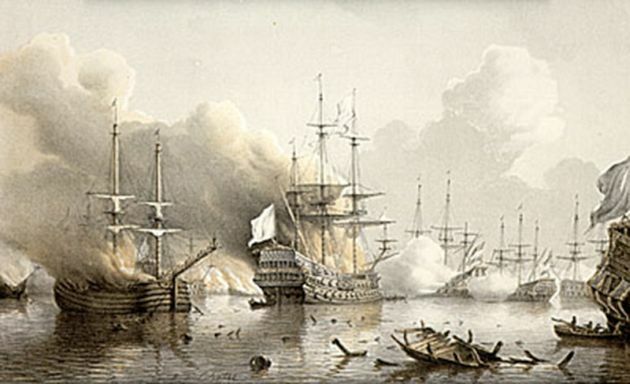 Despite being smaller than its opponent, carrying only about 56 guns instead of the enemy’s 72, the Dutch warship, under the command of captain Roemer Vlacq, put up a brave fight, until it was set on fire to avoid capture. While the battle did result in a large number of deaths, the Dutch were successful in keeping the French out of the island. Quite literally, the first thing we saw at the bottom was a cannon… This was one of the most interesting experiences of my life in archaeology, and I have been in this field for about 17 years. Many of the artifacts, found at the site, bear specific markings which suggest that the wreck belongs to a 17th century Dutch battleship. These include Delft and Bellarmine pottery jars and other utensils; un-fired lead shots; a beer jug with the names of three famous generals- Joshua, David and Alexander the Great-craved onto it; several smoking pipes that have the engravings of a Dutch manufacturer operating between 1650s and 1680s in Amsterdam and bricks similar to the kind made in 1647 Leiden. However the researchers have not yet been able to locate the remnants of the ship’s body. About seven to eight canons have been identified amongst wreckage, whose huge size means that they might have been part of the famous Dutch Huis de Kreuningen. Although we have some written records of the battle itself, we possess no detailed plans of 17th-century warships…so our only sources of information about the ships of the day are the wrecks themselves. It isn’t overstatement to say that what has been discovered is a treasure trove for archaeological researchers. Due to the lack of well-kept conservation facilities in the vicinity, the discovered artifacts had to be left buried under the sea. However Batchvarov and his team have already been granted permission to conduct searches and dives, in the area, by the Tobago House of Assembly and, have also received the U.S. State Department’s Ambassadors Fund for Cultural Preservation. 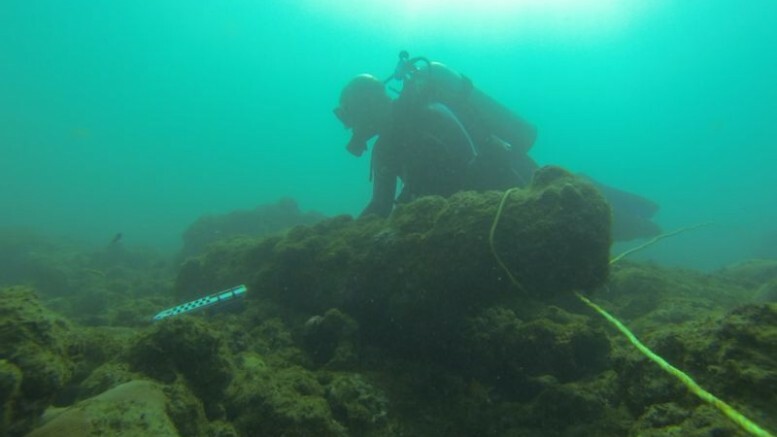 The project is currently being supported by the University of Connecticut and the U.S.-based Institute of Nautical Archaeology. While the excavation of the entire wreckage will take anywhere between three to five years, the team, led by Batchvarov, will start their work from next year itself. Upon recovery, the artifacts will be on display in the islands of Trinidad and Tobago.